WE ARE BACK IN THE PARK!!!! "Boot Camp in the Park"
This is our 9th year!! Bring Water and remember restrooms will not be open yet! 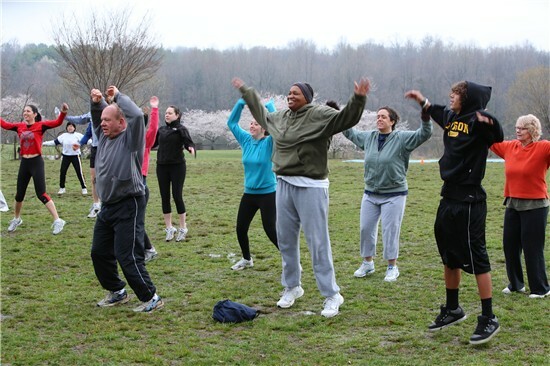 The energy and community spirit increases every year at the "Boot Camp in the Park" ever since we set the Guinness World Record on June 18th, 2011 for the "Largest Circuit Training at a Single Venue"! for donating use of their indoor facility for our winter session of the always FREE "Boot Camp in the Park"! 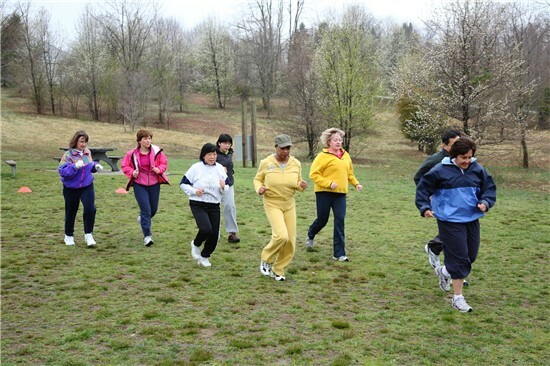 Over 1,600 individuals have participated in the FREE "Boot Camp in the Park". 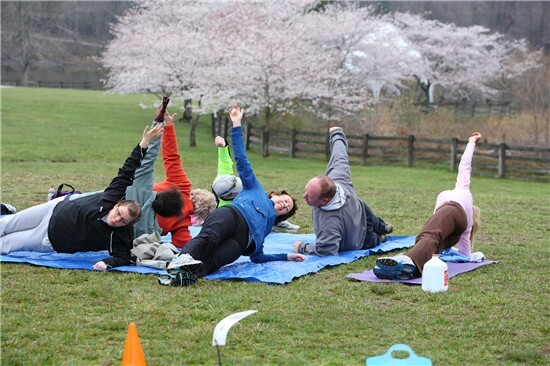 This is the perfect physical activity for all ages and fitness levels. In many cases, individuals just need a little motivation and encouragement to get started. You can join us every Saturday morning through mid-November. Come on out on Saturday mornings and join in the fun! Tell your friends, family members and co-workers. We are inviting the entire community to join us for the FREE "Boot Camp in the Park" Now in our 6th year! 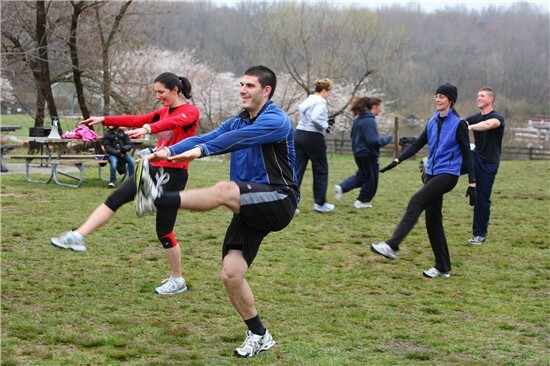 Join us to kick-off of both Boot Camp in the Park and Get Active Howard County. Join us for the special kick-off event and than keep coming back with your friends, family and co-workers every Saturday morning! 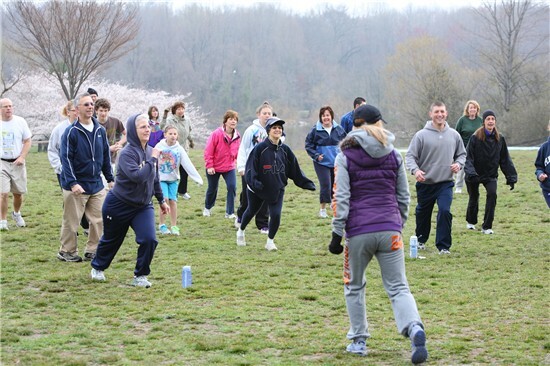 Even with the weather over 50 people joined us at the kick-off for Get Active Howard County on Saturday March 18th! This is the group that set the Guinness World Record for the Largest Outdoor Circuit Training! Consider a walk, jog or run around beautiful Centennial Lake following Boot Camp in The Park. If you decide to walk, jog or run the lake before the workout, most walkers would complete the loop on time if they start by 7am. Joggers and runners would likely complete the loop if they started by 7:15am. Our location is Corporate Pavilion H which can be accessed by turning onto Woodland Road off of 108 and taking an immediate left turn into the park. We will post signage near the gate and on our website if the location should change. Once you enter the park, just follow the Get Active Howard County signs. WHAT IS THE GENERAL FORMAT FOR THE BOOT CAMP? Every exercise and activity can be modified for those that prefer a slower paced workout and to accommodate all fitness levels. Just as important, the trainers are always ready to kick it up for participants who are up for the challenge. 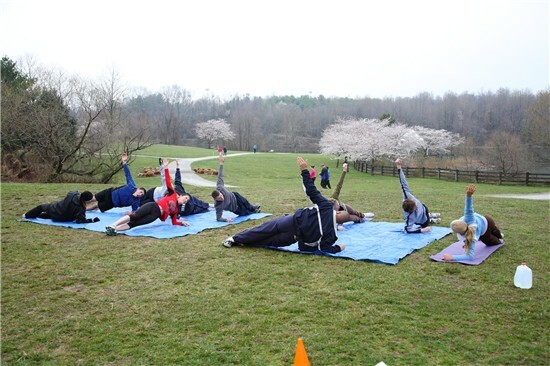 Location: Centennial Park (108 South Entrance) --follow the Get Active Howard County signs once you enter the park. This program began in 2011. The first training featured five professional trainers sharing expertise and enthusiasm in a station by station format. Teams rotated through the stations learning new exercises, having fun and improving their fitness and form. 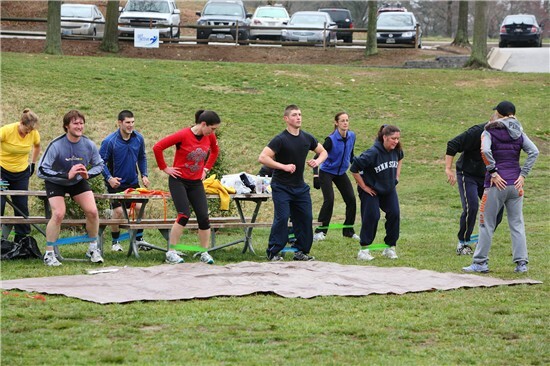 In 2011, participants of the free "Boot Camp in the Park" set the Guinness World Record for the "Largest Outdoor Circuit Training". The message is that anyone, regardless of age or fitness level, can make the commitment to increasing their physical activity! Most of the participants never thought they could do this until they took the first step--- They showed up! Join the fun and start your Saturday off with us. 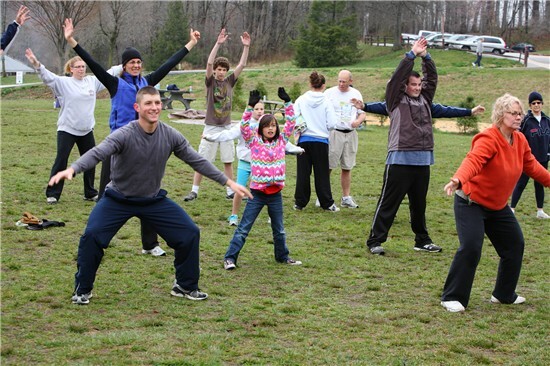 SIGN UP FOR Family Boot Camp in the Park!! !